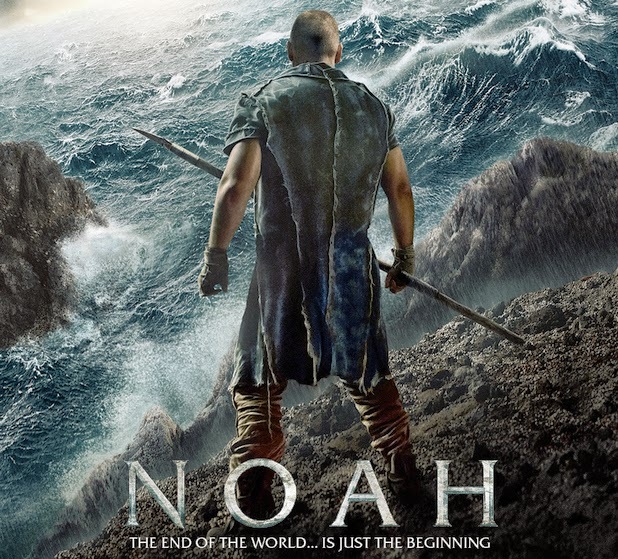 Noah may be the first truly biblical epic of the twenty-first century - a cinematic effort that hasn't been seen since Charlton Heston parted the Red Sea in DeMille's 1956 opus, The Ten Commandments. In this re-telling of the classic Sunday school story, Noah (Russell Crowe) is a gritty, fiercely determined antihero, choosing a nomadic life, isolated from the corruption, violence, and industrial waste brought on by the descendants of Cain. But most of all, he is faithful follower of the "Creator" - a term that highlights Noah's appreciation for what is good and pure about the natural world. Noah has such a regard for the work of the Creator that he is horribly offended by the actions of others: their wasteful use of the land and its creatures; their penchant for selfish violence and oppression; and their lack of respect and humility before the Almighty. With such an outlook on life, he is more than willing to help God prepare for the end of the world - to bring about a new Eden with the innocent birds and beasts of creation. No one can argue with Noah's determination. He is obedient beyond understanding - but in so doing, he alienates even those closest to him. He chooses to keep the full details of his biblical task to himself, letting it fester inside his mind and heart as he watches helplessly as his children wrestle with a world without companionship. Then the great deluge came and "…all were wiped out from the earth. Only Noah and those with him in the ark were left." (Gen. 2:23) After the screams of the drowning people subside, Noah has all the time in the world to be left alone with his thoughts, plagued by his own choices. Then and only then does he finally open up - but perhaps it is too late to do any good. How often are we like Noah? Perhaps we have moments when we choose to internalize all our anxieties - or take upon ourselves the incredible tasks God has given us, without telling others. Maybe we don't want to be a burden. Maybe we feel that others will laugh at our insecurities about our weakness, our fears, or our worries. Maybe we just don't want to bother others with our own issues. Whatever the reason, how often we walk in the footsteps of Noah (at least Russell Crowe's version of him)! We tell others "I'm fine" when we're really torn inside. God may have given Noah a task to complete, but He didn't say "and keep this to yourself…"
In short order, family bonds begin to unravel, no matter how much Noah teaches his clan to humbly obey God and respect the purity of creation. Even when he explains himself in the latter half of the film, he seems too far down his own path to let anything or anyone new in. True family is about honest, selfless, and open dialogue - and Noah's wife Naameh (Jennifer Connelly) and adopted daughter Ila (Emma Watson, in her best performance to date) preach yet even more divine truths than Noah could offer... love, compassion, and mercy for starters. Unfortunately, such conversations never take place in enough time because Noah internalizes all the struggle for himself. For humanity to thrive after the Flood, natural purity, isolation, and obedience won't be enough. Love, mercy, and compassion are also essential to the survival of God's greatest creation, the human race. And dialogue and engagement are part of that mix, no matter how hard it might seem. True, in time, humanity will slip back into old patterns - but the hope for the future in ancient times and hope for the future in our time lies in the mix of the virtues espoused by all members of this "first family." We need nonviolence, natural balance and order, humility and obedience before the Almighty, as Noah preached, but we also need forgiveness, mercy, compassion, dialogue and engagement, and above all, selfless love to make it all come together. All are necessary for us. Without all of them, we fall just shy of the mark. Let us pray that we can increase our capacity for all these divine virtues in our daily lives. On a final note… perhaps this movie is a bit mislabeled, as we need not just Noah's witness of faith, but the witness of his entire family ("those with him in the ark"). 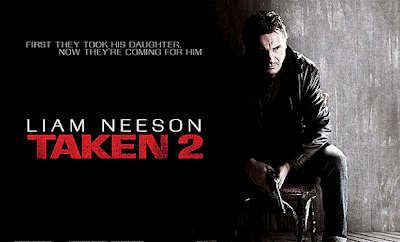 Their story together, their dialogue with each other, is truly the stuff of biblical epics. Saving Mr. Banks is the backstage story of how Walt Disney's Mary Poppins came to the silver screen in 1964. It follows the journey of Pamela "P.L." Travers (Emma Thompson) as she considers selling the rights to her Mary Poppins children's stories to Walt Disney (Tom Hanks) and his team. What we come to learn, over the course of this film, is that Mrs. Travers - who comes across as brash, irritable, and judgmental to all she meets - has become who she is after a childhood of pain and broken dreams. We learn that she grew up in the wilderness of Australia with a strict and long-suffering mother Margaret (Ruth Wilson) and an alcoholic father Travers Goff (Colin Farrell), whose condition makes him both playful with his daughter and irresponsible in his work. Mrs. Travers has obviously overcome the difficulties of her childhood to produce some of the most beloved stories featuring an otherworldly nanny, Mary Poppins. For years, she resisted the advances of movie studios to make her fantastic tales into feature films including Mr. Disney. But when faced with an uncertain economic future, she finally agrees to visit California to assess whether or not to sell her rights to Walt and the Disney production team. Throughout our own lives, each of us has - at some point (or several) - experienced a storm brewing up within us like Mrs. Travers. Perhaps we are not unlike the Mary Poppins author - and our own upbringing has caused us some anxiety and affected our outlook on life. Or perhaps we are just prone to bad days every now and then. Either way, we can experience days on stormy waters. On those days, encountering people can be a chore - even more so if they come across as overly happy and cheerful. Imagine meeting the bright and optimistic Walt or the songwriting Sherman Brothers (played in this film by B.J. Novak and Jason Schwartzman) - and one can understand why Mrs. Travers might have rejected such playfulness. What the folks at Disney headquarters didn't realize was the storm that was stirring in Mrs. Travers' soul. Thanks to hindsight, we (the film's audience) can finally appreciate what was going on in her life. But Walt, the Sherman Brothers, and screenwriter Don DaGradi (Bradley Whitford) had no clue. "Nobody ever talked about those weeks for years," Richard Sherman says in a suite at the Beverly Hills Hotel. "God, was Mrs. Travers difficult. She was impolite. She was, shall we say, a hard woman to figure out. Very strange. Enigmatic. Haunted by something." (for the full article, click here). Had they only known. But thanks to the magic of movie-making, we now know a little more. We can see the storms raging within Mrs. Travers. When we have our own storms raging within us, we wish others would know and understand. And sadly, we all won't have feature films made of our lives for posterity to appreciate. But Mrs. Travers' experience can help us, whether we find ourselves in her shoes or when we stand in for Walt and Co. Sometimes the storm brews within us. When it does, let us seek out the Lord in the silence of our faith or in the comfort of a friend, a memory, or the words of a fellow traveler on the journey of life. Let us be open to others, and pay attention that our storms may be affecting the way we treat those around us. And sometimes the storm brews in others, while we stand by and watch. When that happens, let us be the chauffeur, gently listening to and praying with those whose storm is raging. And let us give others the benefit of the doubt. Difficult people, as Richard Sherman recalled, might be "haunted by something." They may have more to their story than we realize - if only we have the courage and the time to discover it (and if not, then God give us the calm assurance that, underneath others' difficult veneer, a child of God is still present in the soul of that person). Who or what can calm the storm within you? And how can you calm another's tempest? Let us pray for each other as we all search for those answers. 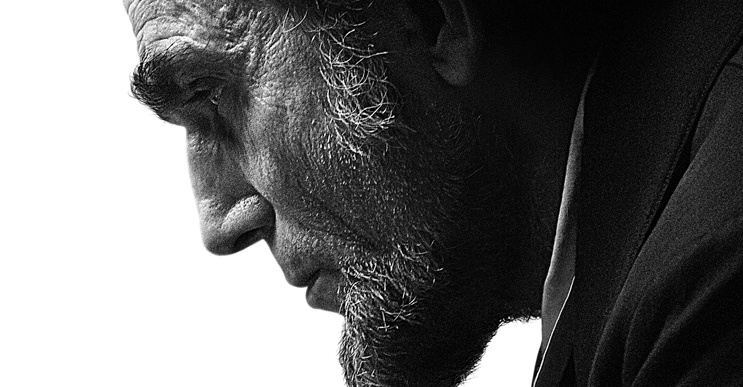 Steven Spielberg's epic Lincoln is a magnificent study in character. The screenplay itself is a bit long and winding, full of 19th Century political intrigue and all the details of domestic life in the White House at the end of Lincoln's presidency. But what cannot be denied is the incredible richness that the actors brought to the historical characters we see on screen. First and foremost, Daniel Day-Lewis does a remarkable job embodying the sixteenth president. For over two hours, we get to see Abraham Lincoln as never before - a mix of humor, zeal, compassion, and melancholy in the face of the United States' most divisive period of history. Day-Lewis shows us a man who was politically shrewd but firm in his convictions that slavery was wrong and all people must be treated equally and with loving compassion. And to calm himself in a daily grind that would break most people, Lincoln is seen here as a simple country boy who loved telling campfire stories in whatever setting he found himself - from the war room to the bedroom, with soldiers, congressmen, servants, and whoever would listen to him. We know of oft-repeated statements the historical Lincoln once proclaimed, "A house divided against itself cannot stand..," "Four score and seven years ago...," and from his Second Inaugural Address, "With malice towards none, with charity for all,, with firmness in the right as God gives us to see the right..." But up until now, excepting students of history, few of us knew the humanity behind such grand eloquence. In this film, we understand the complexities of the man: political yet personal, calculating yet compassionate, commanding yet willing to listen to those around him. Decades now removed from this man, we often wonder why those on the right and left, the conservative and liberal, the religious and irreligious all hail Lincoln as a hero. Lincoln shows us one possible reason... the man was truly a man for all seasons: a balancing act on the tightrope of history. As we seek balance and tapping into all the gifts God has given us, we can look to Abraham Lincoln as a role model. While our daily struggles are not keeping the Union intact in the face of secession, they can seem so. It can be easy to verge to one side or another - to be aggressive without compassion, or to be melancholy without hope - but we are called to live on a similar tightrope - and like Lincoln, make it across to the other side, whenever that end may come for us. Daniel Day-Lewis is certainly the focal point for the film, but there are other great studies of character: Mary Todd Lincoln (Sally Field), the devoted wife whose life seems to be crumbling around her, yet kept stable and calm by a loving and solid husband - and my personal favorite in the film, Tommy Lee Jones as Thaddeus Stevens, the radical Republican abolitionist whose dreams of racial equality are unfolding before his eyes in the last four months of Lincoln's presidency. 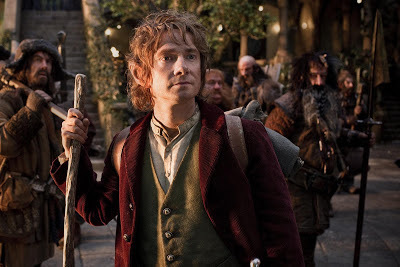 For much of the movie, Stevens appears as a curmudgeon, bitterly fighting what seems like a losing battle (with political views that are about a century ahead of his time). He bristles with fellow congressmen, political opponents, and the president himself. Stevens demands perfection from society, and that perfection cannot come soon enough for him. Anyone who gets in the way of that utopia is often on the receiving end of Stevens' fiery sermons and political speeches. We may be or we may know people like Stevens, angry and bitter - and a person others may not want to be around. 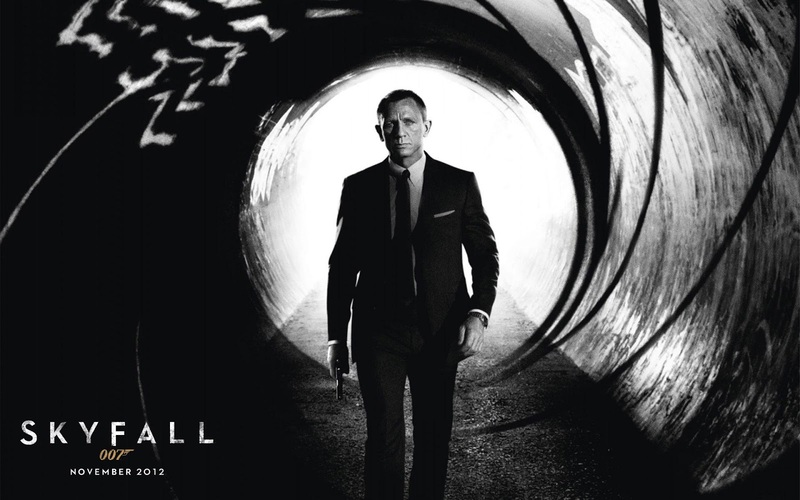 Tommy Lee Jones is an actor who probably didn't need to do much acting for this part, either. He gives us a portrayal that we both support and cringe at the same time. But once again, Lincoln shows us that character is everything - and the entirety of that character is not necessarily what we see on the surface. Late in the film, we come to find out the reason for his single-minded dedication to abolition and equality, and as radio commentator Paul Harvey often said, "and that's the rest of the story." Character is important. Character is key. Lincoln was one that shown marvelously in public, and Stevens is one that was defined by what was private. We should not be quick to judge one or the other too quickly, for like each one of us, there is much more of the story yet to tell. Perhaps that is why Spielberg took two-and-a-half hours to tell this story. Real character is not something that can be assessed in a moment. It takes depth and time. It takes patience. As we look around to the people and characters in our own lives, perhaps we need to take some time there as well - to truly understand who it is that God has placed along our path. Our judgements of others can come quick, like those who quickly assessed Stevens or Mary Todd... or even Lincoln. Chances are, behind even the most private of people, there is a grand story yet to be told. May we discover those stories - and be willing and compassionate enough to enter into them in new ways. 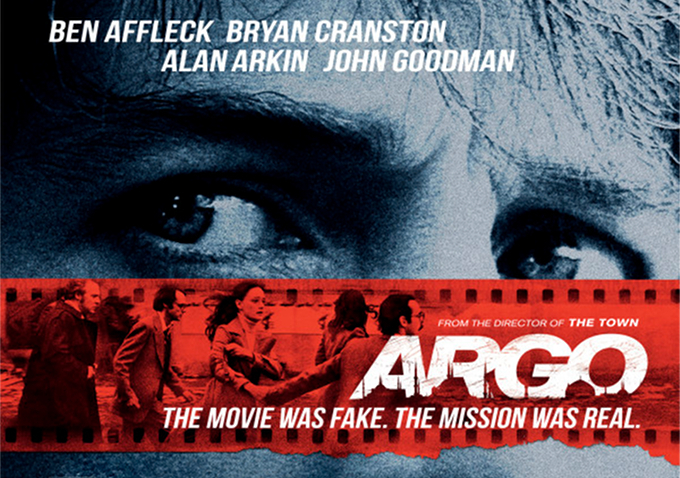 Argo is a declassified tale of real-life events that transpired in 1979 and 1980 during the Iranian Hostage Crisis and the rise of the Ayatollah Khomeini. While 52 Americans were held hostage after militant students broke into the United States Embassy in Tehran, six escaped into the homes of Canadian ambassador Ken Taylor (played here by Victor Garber) and (though not represented in the film) Canadian immigration officer John Sheardown. Meanwhile in the U.S., CIA specialist Tony Mendez (portrayed by Argo director Ben Affleck) engineers a fantastic scheme to extract the six hiding with the Canadian officials: in the wake of the science fiction renaissance brought on by Star Wars in the late 1970s, Mendez will travel to Iran as a Canadian film producer looking to film a low budget sci-fi adventure in the exotic locale of Tehran and leave a few days later with his six-person "production crew," that is the six American diplomats. The ruse seemed so fantastic it was believable. To ensure credibility, Mendez brings Hollywood into the act by bringing aboard sci-fi make-up artist John Chambers (John Goodman) and producer Lester Siegel (Alan Arkin). They develop storyboards, scripts, marketing, and actors - all kept in the dark on the ultimate purpose of their work: to save American lives overseas. For years, President Jimmy Carter, along with the real-life Ambassador Taylor, Sheardown, Mendez, Chambers, the six diplomats, as well as all those in the White House, State Department, and CIA who were involved with this covert operation, kept quiet on the details. It wasn't until 1997 when President Bill Clinton declassified this story. Secrets can often lead to corruption, but in this circumstance, it saved lives. There is always a delicate balance between keeping information hidden, and we're not just talking about CIA missions or declassified stories. When it comes to our relationships with others, we don't want to exclude others from the facts; but at the same time, there is a place for discretion. We live in the tension: What do we share with others? What do keep to ourselves? Which of our actions should be tell others about? Which should we keep hidden? During one of his most memorable teaching moments in the New Testament, Jesus dealt with this internal conflict. In the Sermon on the Mount, he spoke of three instances where secrecy is not only allowed, but encouraged: in our prayer, in our fasting, and in our almsgiving. "When you give of yourself, do not let your left hand know what your right hand is doing, so that your almsgiving will be done in secret." (Mt. 6:3-4a) We live in a time when self-promotion is the norm, when reality television demands that nothing be kept secret. Jesus' words increasingly fall on deaf ears. Even in our churches, charities, and schools, we engrave plaques with donors and give prizes for those who do the most community service. Practicing churchgoers often wear clothing, jewelry, or drive in cars labeled in a way that tells the world about one's religiosity. Yet, despite other less-than-admirable actions, the CIA can teach us a lesson in discretion. In Argo, one could argue that, even though he is credited for Spock's ears in Star Trek, Herman Munster's look in The Munsters, and the primates in Planet of the Apes, John Chambers' greatest accomplishment was saving the lives of six diplomats, not to mention Tony Mendez, Ambassador Taylor, and others in the Canadian embassy. And for twenty years, he had to keep it completely secret. His truest masterpiece was never to be known. The same goes for Mendez, the Canadian government, and Jimmy Carter, who - in part - lost the 1980 election due to the public's assessment that he had been successful rescuing anyone from Tehran. Their secrecy not only helped those stranded in Iran, but also reminded us of the importance of Jesus' words: "do not let your left hand know what your right hand is doing." It should also remind us not to judge others too quickly for their seeming lack of charity, spirituality, or discipline. Perhaps, in secret, they are doing what Mendez, Chambers, and others once did. Let us also remember that Jesus follows up his statements on discreet prayer, fasting, and almsgiving (in Matthew chapter 6) with an admonition against judging one another (in Matthew chapter 7). So is there a dividing line between what should kept secret and what should be shared? I believe so, yet I also think that such a line is different for each person. In their hearts, they will know when they are pushing the envelope too far, stepping over that line for one's own glory. When we act with humble hearts and do what is right for God, for ourselves, and for others, we will know what is best. In the meantime, let us pray (discreetly, of course) that our minds and hearts will be more occupied by our desire to do those good things for the Kingdom of God - rather than to worry about how often we should reveal those deeds to the world.